At Our Saviour’s we are committed to worship and think it is important for you and your children to participate as a family! That is why both sessions start with your child in worship with you. 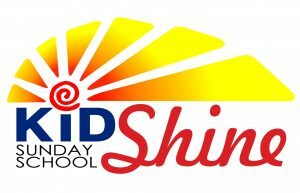 KidShine begins Sunday, September 9 and goes through Sunday, May 19. 10:00-11:00 a.m.—Your child will stay with you for the beginning of worship and will be dismissed to Sunday school after the Children’s Sermon. Your child will be in worship with you for the beginning 15 minutes of worship. The bulk of their learning time will occur in class. Younger children use a Bible learning curriculum called “Spark,” Spark is a lively look at the best loved and most important stories of the Bible. We will try to follow the stories being taught in Worship each Sunday! Older kids are ready for a challenge, they will be using the Connect Curriculum. Connect is Our Saviour’s bridge between Sunday school and Confirmation. The Connect curriculum allows kids to dive deeper in their faith learning! Take Note: Click this link for important changes for Wednesday night programming for fall of 2019.